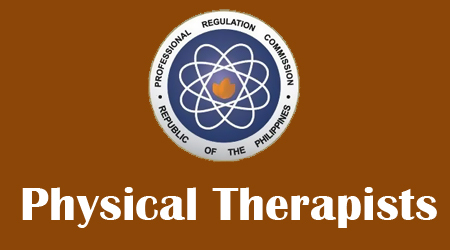 The results of the Physical Therapists (PT) licensure examination in Manila & Cebu for the month of February 2013 can now be viewed here, the Professional Regulation Commission officially published in their official website the 285 passers out of 579 examinees of the Physical Therapist Licensure Examination. The PT exam is also known as February 2013 Physical Therapists (PT) Board Exam Results. Usually, the official results released in two days after the last day of examinations. Last year a total of 308 out of 610 passed the Physical Therapists Licensure Examination given by the Board of Physical and Occupational Therapy in the cities of Manila and Cebu. If you think that this post is informative, please don't hesitate to bookmark and share this page on your Facebook wall, follow us on Twitter and subscribe our news feed via Email for the releasing of February 2013 Physical Therapists (PT) Board Exam Results. Comments or suggestions about "February 2013 Physical Therapists (PT) Board Exam Results" is important to us, you may share it by using the comment box below.